For the schedule of the grouplessons and open hours, click on ‘Group lessons and open hours‘ in the menu on the left. For the schedules of the course hours, go to ‘Course hours (course period)’ in the menu on the left. 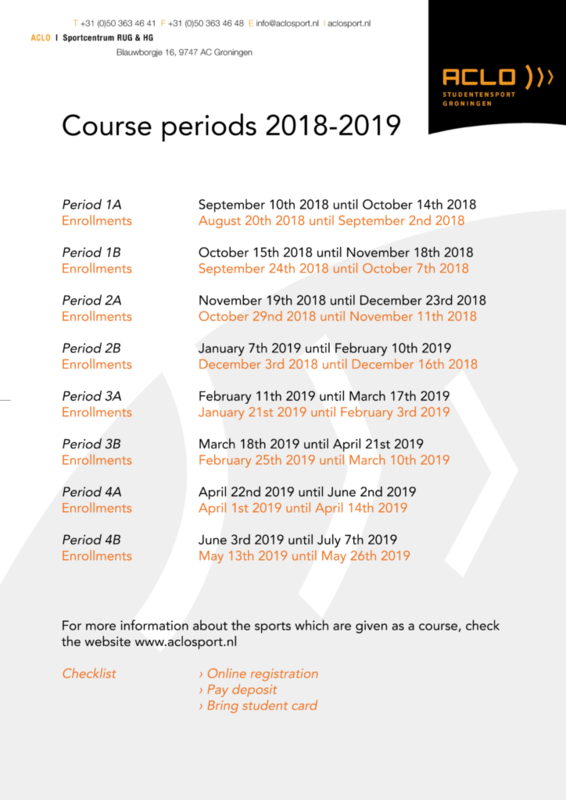 For every course period there are certain deadlines that you have to take in account if you want to participate in a course. These deadlines are not negotiable so stick to these.